The Monterey Bay Aquarium is a public aquarium located south of the city of San Francisco in Monterey, California. The aquarium contains various aquatic life to include fish, octopus, penguins and sea otters. The aquarium does not host large marine mammals such as dolphins and whales. 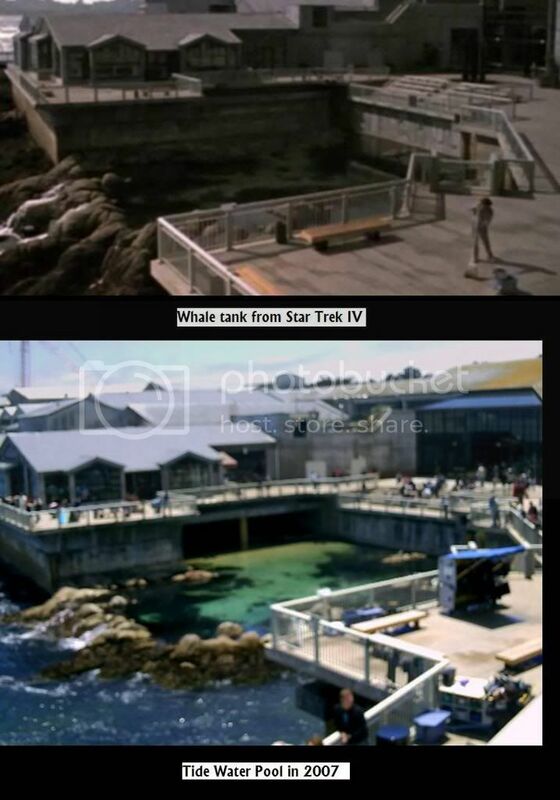 Monterey Bay Aquarium was used as a filming location in Star Trek IV: The Voyage Home, specifically to show where the fictitious humpback whales, known as "George and Gracie", were located. For the film, the front of the aquarium (to include its logo) was modified with a sign, reading "Cetacean Institute," hung over the aquarium's name. Filming took place at the Aquarium on Thursday 24 April 1986, Monday 28 April 1986 and Wednesday 30 April 1986, among other dates.